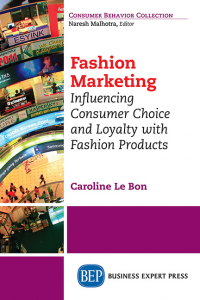 Caroline Le Bon is adjunct professor of marketing at the University of Houston Downtown and a Research Associate at the University of Paul Cézanne Aix-Marseille III, France. She received a Master’s degree in retail management, logistics and negotiation from the University of Paris Dauphine; a Master’s of Science in marketing from the University of Paris Sorbonne; and a PhD in marketing from the University of Paul Cézanne Aix-Marseille III. She has 10 years of experience as a fashion buyer in Paris.